See the latest episode below! Welcome to Numenta.org, home of Numenta’s HTM community and open source projects. If you want to learn about Numenta the company visit Numenta.com. Hierarchical Temporal Memory is a foundational technology for the future of machine intelligence based upon the biology of the neocortex. Because Numenta is committed to making this technology accessible to everyone, all HTM software and ongoing research is open source. This allows you to work with our technology in whatever way works best for you ‒ learn about the theory, dive into the source code, or start your own implementation. Some of our community members have written their own versions of HTM systems in other languages and platforms. Others have created detailed visualizations, experiments, and applications. The neocortex is a logical system that we’ll understand fully in time. HTM theory reflects our current understanding of how the neocortex works, and HTM code reduces that theory to practice. HTM is continually being updated as we learn more about the brain. We believe HTM will play a critical role in the creation of truly intelligent machines. There are many ways for you to get involved. Come discuss HTM theory with us on our forums, or share your HTM application on our Github organization. 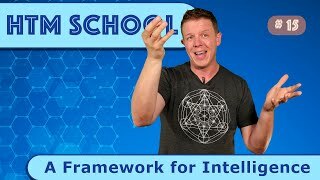 If you’re new to HTM, a great place to learn is in HTM School. We hope you’ll join our community and help us discover the future of machine intelligence.